To suit emergency applications where the HRN/T5 conversion kits cannot be housed integrally within the luminaire. 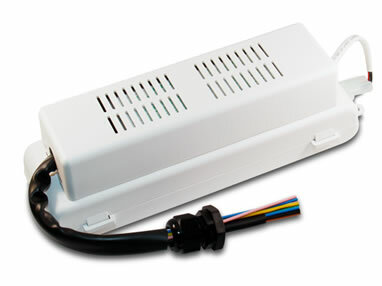 Liteplan can supply remote enclosures to suit. Remote packs are supplied as standard, housed within single flame retardant ABS enclosure.